March 18, 2017 (Jamul) -- Leading up to what could be a busy fire season in San Diego County, the Jamul Indian Village will officially hand over the keys and deliver a new $1 million ladder truck and $500,000 pumper truck to the San Diego County Fire Authority on Tuesday. September 14, 2016 (San Diego’s East County)-- The San Diego County Fire Authority has reached a milestone. July 2, 2015 (Ramona) – The San Diego County Fire Authority and CAL FIRE are making a major upgrade to fire and emergency medical services at the County’s Intermountain fire station. Starting July 1, new, around-the-clock paramedic service will be offered for the first time ever. The station is located east of Ramona along CA-78, a main route to Julian. May 14, 2015 (San Diego’s East County) – Shortly after the release of a grand jury report that commends the County for making significant improvements to rural firefighting by unifying a patchwork of independent agencies, the Board of Supervisors approved a series of administrative steps toward bringing two more rural fire districts under the umbrella of the County Fire Authority. December 18, 2014 (San Diego’s East County) - The winter months can be more fire hazardous for most households, but the good news is that all of the hazards can be avoided if people are made aware of them and take precautions. “It can be a great time of year and you don’t want to see that turn tragic because someone wasn’t diligent,” says Kelly Gaffrey of the San Diego County Fire Authority. August 16, 2014 (San Diego) – In the wake of the May wildfires that resulted in a countywide disaster declaration, Fire Chiefs and elected officials from across the region met on July 31 at the Count Operations Center to assess what went right--and what areas have room for improvement. December 1, 2013 (San Diego's East County)--San Diego Supervisors meet on Tuesday and Wednesday, December 3 and 4 at 9 a.m. The hottest item is a public hearing Tuesday on a county proposal to levy fees to recover the actual cost of services provided by the San Diego County Fire Authority including fire plan reviews, inspections and other technical work. In the past, such services have been provided to individuals and businesses without full cost recovery. The Agenda does not state how much the proposed fees would be or how much revenue the county expects to raise. But coming on the heels of a statewide fire fee that is going up at year’s end, the proposal is likely to fuel controversy among taxpayers. The item is first on Tuesday’s agenda. View December 3 agenda. View December 4 agenda. August 18, 2013 (San Diego)—The San Diego County Fire Authority has released a Master Strategic Plan for the next five years. The plan became effective on July 1, 2013 and will remain such until June 30, 2018. You can read the plan here: http://bosagenda.sdcounty.ca.gov/agendadocs/doc?id=09010e9680174b28. May 22, 2013 (San Diego’s East County) – California has already seen 1,569 wildfires this year, about 500 more fires compared to the same period last year and 85 percent more fires than in an average year. With the long, hot and dangerous summer a real possibility, County Supervisor Dianne Jacob and public safety officials today urged residents to protect their homes against wildfires by creating a 100-foot buffer zone. 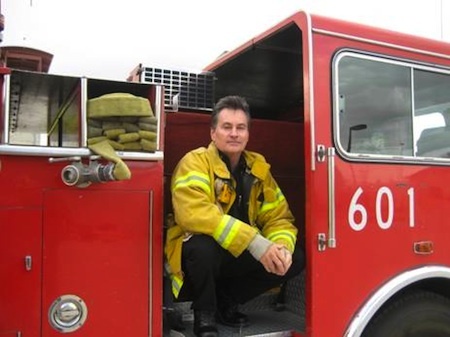 March 10, 2013 (Julian)—Why is the Julian-Cuyamaca Fire Protection District in financial trouble—and why would the District refuse to join the County Fire Authority? Is there a way for the cash-strapped District to retain its independence and assure a swift response time for residents? These are important questions. The answers reveal a distrust shared by other rural fire departments that have reported longer response times and other concerns after giving up volunteer firefighters to join the County system. December 14, 2009 (San Diego’s East County) – Residential fires have caused major damage to homes in Descanso, Lakeside, Valley Center and La Mesa this month. The latest blaze occurred this morning at 4:17 a.m. in a condominium complex at 9320 Earl Street #25 in La Mesa, where fire crews arrived in less than five minutes and ran hose lines inside through thick, dark smoke down to the floor. Firefighters used a thermal imaging camera to locate the fire in the kitchen.